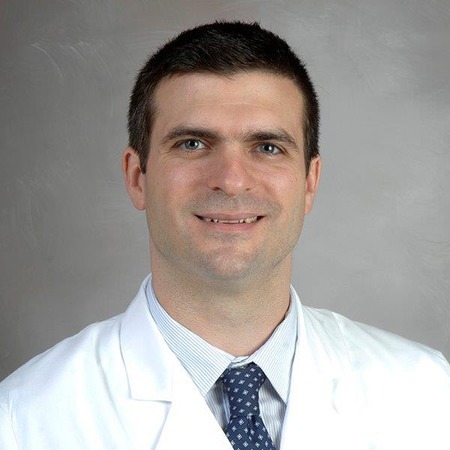 Dr. Vincent Duron is an Attending Physician in the Division of Pediatric Surgery at the NY- Presbyterian Morgan Stanley Children’s Hospital, New York, NY. He is also Assistant Professor of Surgery at Columbia University Medical Center. Dr. Duron received his undergraduate degree from Stanford University, after which he spent the next several years teaching 4th & 6th grade students in Queens, NY and Moscow. He returned to New York and received his medical degree at the University of Rochester where he graduated with Distinction in Community Service. He completed his general surgery residency at Brown University. During this time he received multiple research and teaching awards, including the Gold Foundation Humanism and Excellence in Teaching Award. He completed a pediatric critical care fellowship at the Children’s Hospital of Los Angeles and completed his pediatric surgery fellowship at the University of Texas-Houston Medical School. Throughout his years of training, Dr. Duron performed clinical research leading to the publication of multiple articles in pediatric trauma and global health issues. His interests include general pediatric surgery, the critical care treatment of pediatric surgical and trauma patients, as well as access to surgical care in developing countries. He has been involved in multiple global health projects in Russia, Cameroon, Malawi, Kenya, and most recently is actively developing a trauma registry in Iquitos, Peru. In addition to providing pediatric surgical care to the patients of MCSH, Dr. Duron is the Surgical Director of the Pediatric Intensive Care Unit.